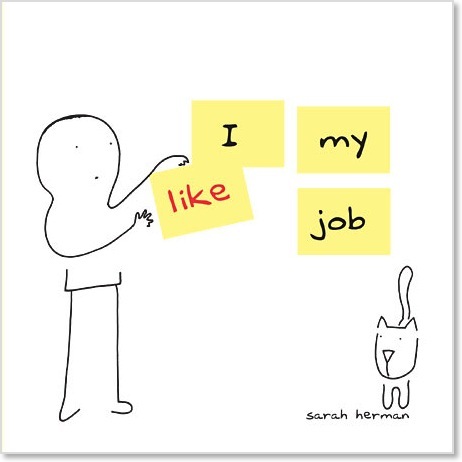 "I like my job" Sarah Herman's graphic novel was published by Jonathan Cape, June 2009. I worked with nice people... The novel begins with its protagonist facing the numbing realisation that her job is no longer challenging. From performance review to pseudo promotion we follow her ups and downs against a backdrop of petty office politics. "I like my job" is available on Amazon or you can buy it direct from Random House. Also available in bookshops now. Read an extract at Guardian online.